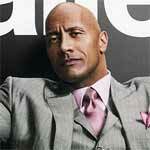 Season Synopsis: In Season 2 of Ballers, things are getting more competitive and complicated for retired football star turned financial manager Spencer Strasmore (DWAYNE JOHNSON). As the lines between professional and personal blur in his pursuit of lasting success and glory, Spencer must face demons from the past when he goes head-to-head with the biggest business manager on the scene. Meanwhile, Spencer’s closest friends and clients struggle to find their footing. 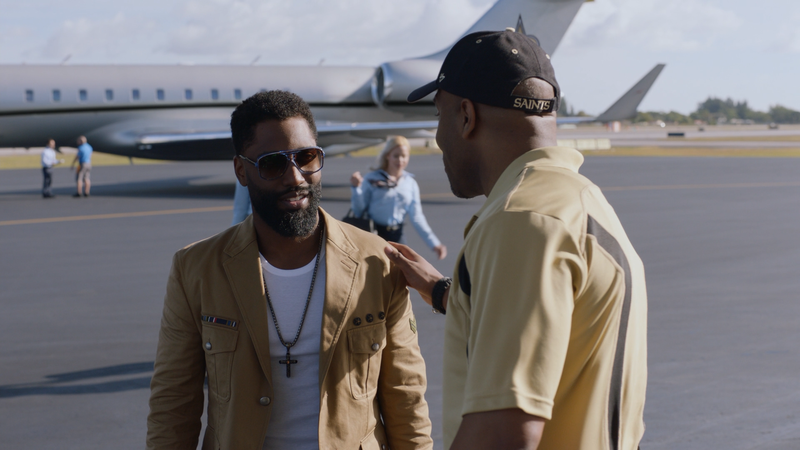 A humbled Ricky (JOHN DAVID WASHINGTON) explores his options as a free agent, while getting to know the father who left him behind; Charles (OMAR MILLER) tries to balance a new baby and his future in the game; and Vernon (DONOVAN CARTER) deals with the consequences of his life off the field. 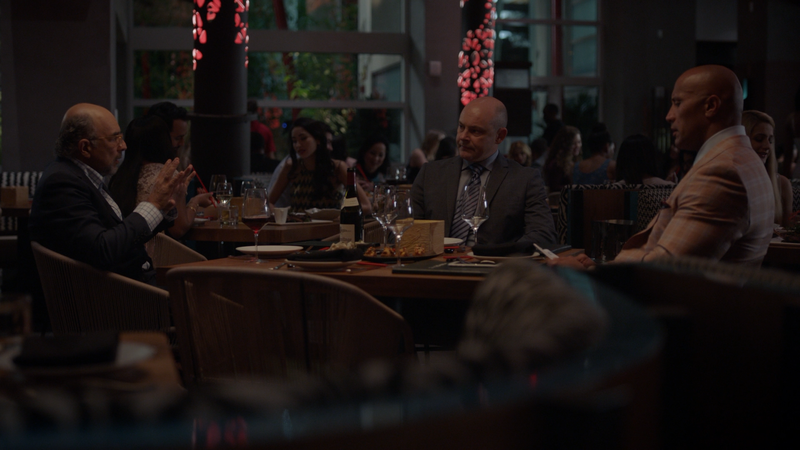 Returning to help Spencer juggle lucrative deals and big personalities are his outrageous business partner, Joe (ROB CORDDRY), level-headed agent, Jason (TROY GARITY) and girlfriend/sports reporter, Tracy (ARIELLE KEBBEL). In a business where it’s go big or go home, Spencer and his crew are about to learn that having it all means being ready to fight for more dollars, deals and respect. 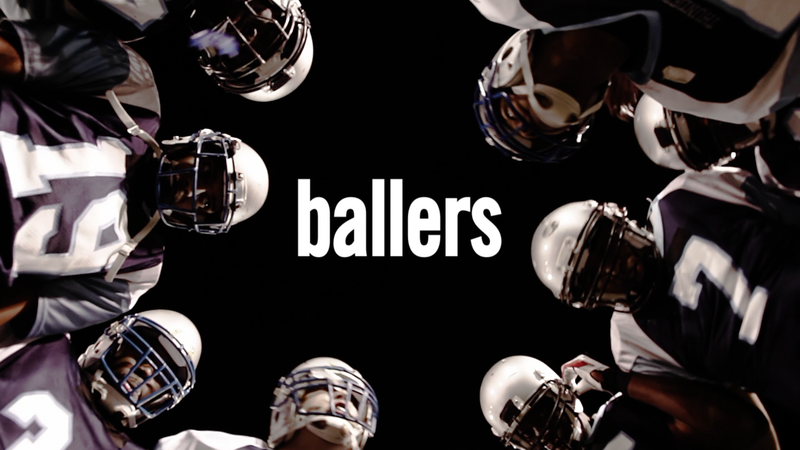 Quick Hit Review: The second season of Ballers is more or less on par with season one. Dwayne Johnson continues to excel in this environment — giving his character more depth — and the cast, both main and guest, are impressive including Andy Garcia who serves as a great foil. As a fan of the NFL, and football in general, this is a wonderful dramatization of the off-the-field lifestyle that I suspect in comparison to real-life, is probably rather tame. This 2-disc release comes with a glossy slip cover. Inside is a code for the Digital HD copy. 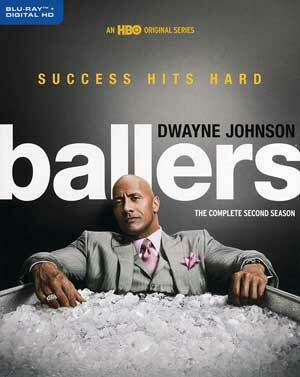 HBO Home Entertainment releases Ballers Season 2 onto Blu-ray presented in its originally televised 1.78 widescreen aspect ratio and a 1080p high-definition transfer. With the show taking place in and around Miami, colors generally are brilliant and bright and detail appears sharp. Each episode comes with a standard DTS-HD Master Audio 5.1 track which is fine but not entirely impressive considering the bulk of this series is either dialogue or accompanied by hip-hop music which at least does show off moderate amount of depth for the front and rear channels. 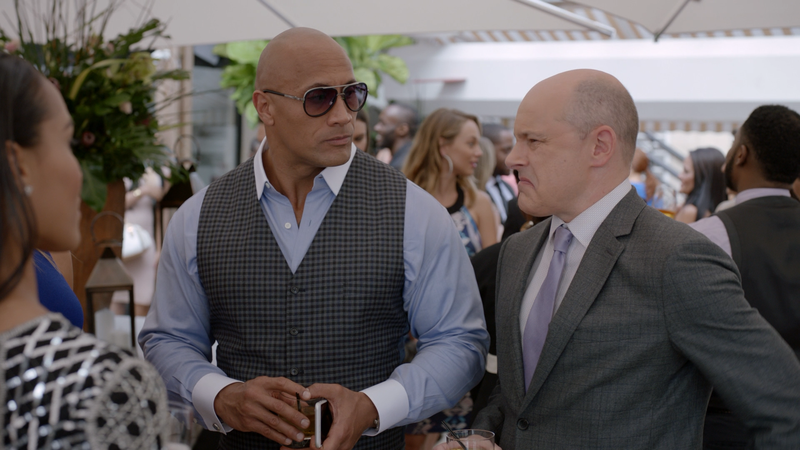 Overall, Ballers: The Complete Second Season is a lot of fun especially if you’re either a fan of the NFL or Dwayne Johnson. The stories generally are compelling and this kind of material, given he was a player for the semi-professional Miami U, is right in Johnson’s wheelhouse. This 2-disc Blu-ray release offers decent video/audio transfers but, especially for an HBO release, was a tad disappointing in the features department.